DIESEL fuel prices across regional and rural areas of Australia have eased by up to 12c/litre in some states, after hitting four-year highs a month ago. Retail pump prices in regional non-metropolitan areas soared to an average of 164.5c/litre in early November, levels not seen since 2014, after falls in production in some major oil producing countries including Iran and Venezuela. However global oil supplies are again growing rapidly, as record output from Saudi Arabia, Russia and the US more than offsets those declines. 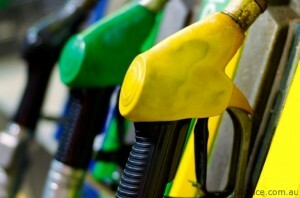 Diesel prices remain high in a historical sense, however, starting the year averaging around 136c/l in regional areas. Based on current average diesel prices for regional/rural areas of Australia, filling a Toyota Landcruiser 200 series (138 litres, main and auxiliary tanks) today would cost $215, about $27 more than it did in January. Brent crude prices hit a four-year high of over $86/barrel during October but have since fallen back to below $70/barrel as a result of production increases. International geopolitics and supply/demand fundamentals have driven diesel prices higher during 2018. Diesel fuel remains a major input for cattle producers in Australia, used for pumping water, generating power, and transporting livestock and inputs. The Australian Institute of Petroleum’s weekly report issued Sunday, December 2 has retail diesel prices in non-metropolitan regional areas of the country averaging 155.7c/litre, down 8.8c/l on average on the same time last month (see graph above). Biggest price changes within states and territories since early November have been seen in Queensland and Victoria. NT 193.4c (down 0.9c from a record high of 194.3c). Australian Institute of Petroleum’s reported prices are calculated as a weighted average of retail diesel fuel for non-metropolitan regions in each state/territory. All values include GST. Variation in fuel prices can have a considerable impact of cost of production across the Australian beef industry, impacting on livestock transport, cost of shipping in live cattle and boxed beef exports, pumping stock water and providing station electricity in remote locations. Crude oil, diesel and petrol prices are closely linked, as the price of crude oil accounts for the majority of the cost of producing a litre of petrol or diesel. Crude oil is purchased in US$, meaning that changes in the value of the A$ against the US currency have a direct impact on the relative price of crude oil in A$ terms.